The No. 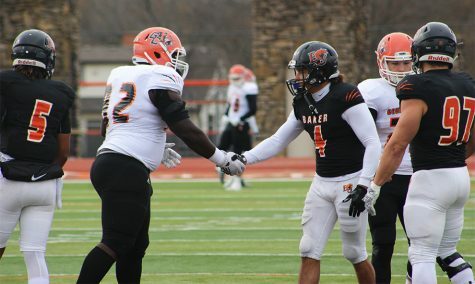 4 Baker University football team advanced to the quarterfinals of the NAIA playoffs Saturday after defeating Sterling College 10-7 on a last-minute field goal. With the win, the Wildcats improved to 11-1 on the season and will look to add one more victory to that column against No. 5 Morningside College on Saturday. 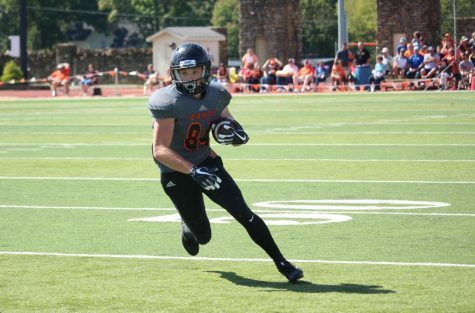 The BU defense, which hasn’t allowed its opponents to score more than 16 points in the last seven games, will have to contain the top scoring offense in the country. 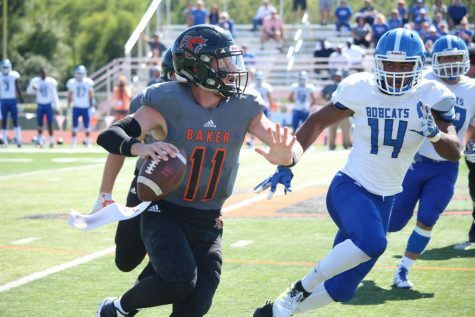 Morningside averages more than 50 points per game and is led by junior quarterback Ryan Kasdorf, who leads the NAIA in pass efficiency. 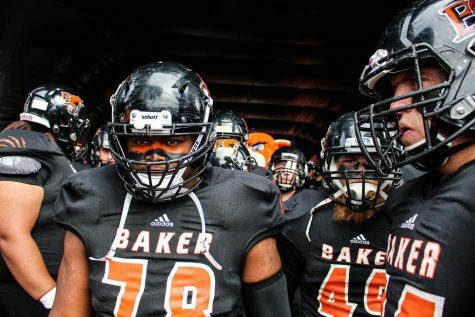 However, Baker boasts a home-field advantage as the Wildcats have not lost at Liston Stadium since September 2012. 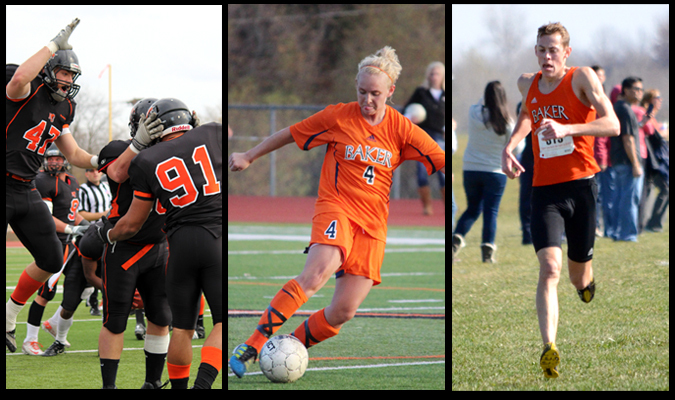 The second round playoff game is scheduled for 1 p.m.
11 a.m. | Dec. 2 | Montgomery, Ala.
After taking a double-overtime victory from Midland University on Saturday, the BU men’s soccer team will head to Montgomery, Ala., for the Sweet 16 of the NAIA playoffs. The 13th-ranked Wildcats will face No. 4 Ashford University on Dec. 2 at 11 a.m. Although Ashford has a favorable ranking, BU is familiar with the 14-4-1 team. 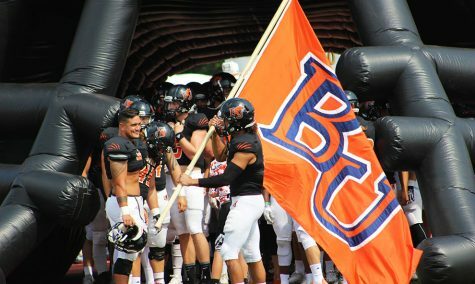 The Saints and BU faced off in their first game of the season on Aug. 24. The Wildcats walked away with a 2-1 overtime-victory, with goals from sophomore Amer Didic and senior Richard Klein.